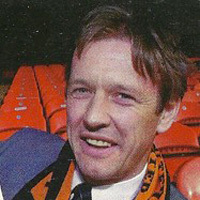 After an eleven year spell as a player at Tannadice - with the exception of a few months in 1986 - Kirkwood continued his playing career with Dunfermline and Dundee, and it was at Dens Park that he went into coaching when he retired. A spell as coach at Rangers was followed by a return to Tannadice, this time as manager after the sacking of Ivan Golac in March 1995, as United were involved in a relegation battle. Unfortunately, Kirkwood was unable to prevent the Club from dropping out of the top flight for the first time in 35 years, but after rebuilding the squad from top to bottom, he guided the team to a Play-Off victory and a return to the Premier Division at the first time of asking. However, after only one win in the first six games of the 1996/97 season, Kirkwood was replaced with Tommy McLean.